Where better to start an exploration of improvisation in New Orleans than with food? Three culinarians — Alice Waters, Davia Nelson, and Ben Burkett — explore the role of improvisation in their work and lives. When we make a gumbo in New Orleans, we have in mind the family recipe, but we respond with what’s seasonally available. Im-pro-visation is the art of the occasional, the un-fore-seen. We bring mastery, the kitchen skills that we have learned from our ancestors and through years of apprenticeship, but also we bring an openness to being mastered by available materials and by whim and by accident. As in much art, the recipe provides a formal template against which the improvising artist pushes back. 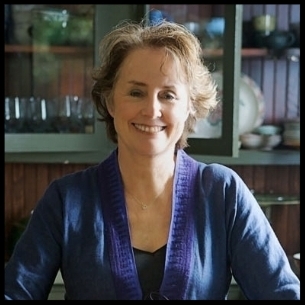 Alice Waters of Chez Panisse and Edible Schoolyard followed her instincts, pushed back against mainstream practices, and now has largely redefined the mainstream. In her radio stories and oral histories (an improvised art necessarily), Davia Nelson of NPR’s Kitchen Sisters and the Hidden Kitchens series on Morning Edition, recounts the lives of the homeless who use George Foreman grills under bridges, and an Angola prisoner who makes pralines on an improvised tin can stove. 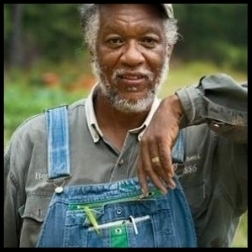 And who is more responsive to Nature’s whims than Mississippi farmer and community activist Ben Burkett? Join us for this special presentation with Chef, author, activist, and founder/owner of Chez Panisse Restaurant in Berkeley, California ALICE WATERS, BEN BURKETT, farmer/activist and president of the National Family Farm Coalition and oral historian DAVIA NELSON of NPR’s Kitchen Sisters and Producer of the James Beard Award-winning series, Hidden Kitchens. Moderated by RICHARD MCCARTHY, Executive Director of Slow Food USA. Following the panel, attendees will sample dishes from local restaurants. Cost: $20 per person for an all-inclusive evening including panel and reception.